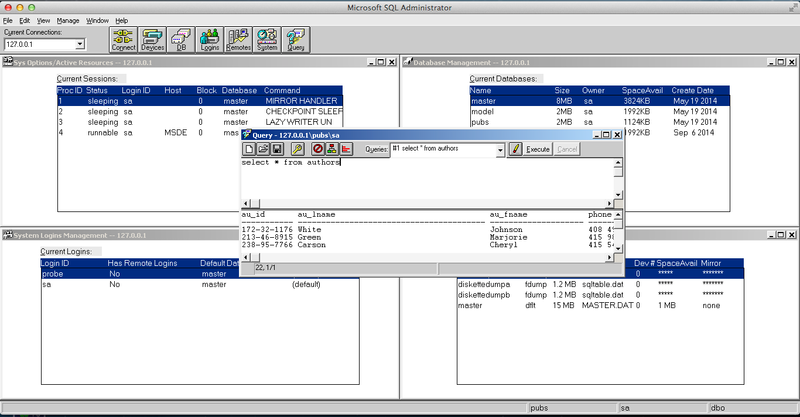 Running MS SQL Server 4.21 on OS X. Yes, you read that right. Thanks to the power of Crossover (Wine) I’m running SQL 4.21 on OS X. But the installation is *NOT* straightforward. Actually it doesn’t install at all. But you can ‘transport’ a working copy from a Windows machine into Wine, and it’ll run. I called my machine MSDE, as I have no imagination. With those keys in place the next thing to do is grab the service keys.. The final step was to copy over the c:\sql directory, and create icons for the SQL Server, and the management tool. To run, start the server first (SQLSERVR.EXE) , then launch the admin tool (SQLADMIN.EXE), and you should (hopefully) be able to connect! And there we go! Is it useful? Not really, but I mean it is cool! I haven’t tried this with 6.0 or 6.5 but I imagine they should work as well. 7.0 and beyond are more complicated to transpose as they require a great deal of COM integration. In theory they should work. how about MS Mail/Exchange and the other stuff?  servers of yesterday, OSes of today! Ive never dealt that much with Exchange 4… maybe? I doubt 5 will cooperate it’s much too picky with too many child processes that expect to be started as a service. For whatever reason wine really lacks the ability to run services. Apparently SQL 2000 can also be installed! Service is accessible on localhost:1433, user sa, empty password. Previous Previous post: From the latest changelog, PCem coming to Linux!